Guy: Do you know someone taking statin drugs or has concerns regarding their cholesterol? If so then this interview is a must! Our awesome guest this week is Justin Smith. 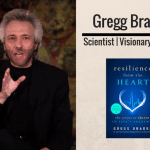 He’s the man behind the documentaries Statin Nation and Statin Nation II which are documentary films about cholesterol and cholesterol lowering medications. Have we got it all wrong? In the short video above we discuss the major concerns of having your cholesterol being too low and the health risks that go with it. 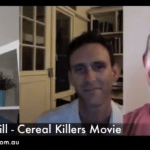 Justin Smith Full Interview: The Dangers Of Low Cholesterol, Statin Drugs & Pharmaceutical Interests. Guy: Hey this is Guy Lawrence of 180 Nutrition, and welcome to today’s health sessions. 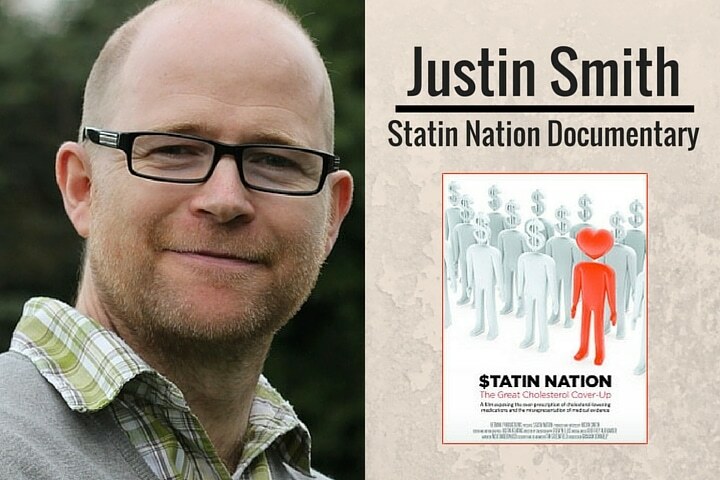 Our fantastic guest today is Justin Smith, now he is the man behind the documentaries Statin Nations and Statin Nations 2. If you’re not familiar with the movies, I’ll give you the synopsis; we are told that cholesterol is a major cause of heart disease. At least 40 million people are currently taking cholesterol lowering medications known as Statins. Millions of more people are avoiding foods that contain saturated fat and cholesterol. Cholesterol lowering has become a huge global industry generating at least 29 billion each year, well I think about that. [00:01:00] think it’s super important. I don’t know about you, but I know people personally, friends and family that are taking Statin drugs, have this great big fear of heart disease, and eat a low fat diet and cholesterol. We wanted to get Justin’s opinion in here today, and tap into what he has learned over the years and this podcast doesn’t disappoint, and I have no doubt you’ll enjoy. One last thing if you could leave us a review on iTunes that, would be fantastic. Tell us what you think of the podcast, how can we even improve them, how do you listen to them, how are they making a change in your life? 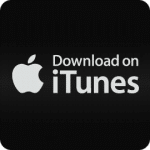 By leaving us a review on iTunes, it helps us get rankings and it helps us reach more people so other people can tap in and listen to these podcasts too. They definitely are helping people, they are affecting people’s lives, and we just feel as most, this message is very important, and we just want to get to as many people as possible and reach out and help them. hear from you, anyway let’s go to Justin. Hi this is Guy Lawrence, I’m joined with Stu Cooke, as always hi Stu? Guy: Our awesome guest today is Justin Smith, Justin welcome to the show. Justin: Thank you very much, great to be here. doctor. Because unfortunately I get so many emails from people, they start off with a similar story, but then unfortunately the doctor is not so open minded. Unfortunately many people feel like they are being bullied into taking medications, Statins in particular, because much of the medical community is being … They have … I don’t want to say brain washed, but it is usually like that, because they’ve only been exposed to one side of the so called evidence, and being repeatedly given that same message that they believe it so strongly that when anyone comes along and says, well I think cholesterol might not be as important as we are told, they can’t accept it, they just instantly reject it. Justin: Well, incredibly important, it’s one of the many essential nutrients and that’s how it should be thought of. Our bodies are made up of something like 50 trillion cells, and cholesterol is really important for the outer skin or the membrane of every one of those cells. Cholesterol is also the building block for the steroid hormones. Also it’s the building block for vitamin D, and for bile acids for digestion. Researchers are discovering more and more important roles that cholesterol performs in the body. More recently it’s been found that derogatives of cholesterol actually play an important part in the immune system. It’s kind of the memory of the immune system when we are being exposed [00:09:00] to some pathogen, then the immune system adapts, so it’s able to recognize that pathogen again in the future. Derogatives of cholesterol have been found to play a key role in that process. Cholesterol is really important and it’s particularly important for some parts of the body, so we know the brain requires huge amounts of cholesterol. The cells associated with the nervous system require a lot of cholesterol, and white blood cells as well require a lot of cholesterol. Stu: It does seem kind of crazy then that we are very driven on this mission to reduce the amount of cholesterol, and get those numbers down to as low as we can, and at which point we would elated, because we got supposedly wonderful health. Justin: Yeah, it is completely crazy. When you go back and look at the largest studies that are being done on cholesterol levels, there really isn’t any correlation between the cholesterol level and the risk for heart disease. [00:10:00] What we find is total cholesterol levels vary between something like 2.8 and 8.8. If your cholesterol level is between those values, then that’s within normal distribution, and the same normal distribution is seen with people with heart disease and people without heart disease. What that means is that cholesterol is not a risk factor for heart disease. Low cholesterol is a risk factor for all kinds of problems. Low cholesterol is strongly correlated with increased mortality, death from all causes. Also low cholesterol is associated with an increased risk for cancer as well, a number of cancers. Guy: Like we’ve been … You can stop anyone on the street, and they probably still over in their head, high cholesterol means potential risk in heart [00:11:00] attack, like it’s been indoctrinated now for most of my life, my generation. When you started to research this information, did you actually expect to unveil what you unveiled in the first place? Justin: No, not at all, no, I thought maybe there are strong arguments on both sides, and there is a debate to be heard about it. There isn’t a debate to be heard about cholesterol, I mean there just isn’t, there is no evidence to show that it’s evil or even clogging up our arteries. I mean yes it’s there in the wall of the arteries, but as part of the protective mechanism, as part of the body’s way of dealing with whatever the real problem is. I was amazed and I think what amazed me even more is what I had learned about the way the medical system works. Eventually I began to realize that the cholesterol issue is really just a tip of the iceberg. [00:12:00] I mean when you look into this, you realize that doctors probably don’t know much about all of the medications, because the data is owned by the pharmaceutical companies, that’s a really key point. Because the pharmaceutical companies do something like 90% of the research now, they actually own the data, which means that they control what gets published and what doesn’t get published. Let’s say if they do a clinical trial and it shows the medication not to be effective, or has a lot of side effects, they don’t have to publish those results. They can control the perception of the medication very easily by just publishing data which is favorable to the medication. Then when someone does what they call an analysis, when they take a number of clinical trials and put all the data together to try and workout [00:13:00] the overall effectiveness or harms, then that’s completely biased towards the medication, because the harmful data hasn’t been published. Guy: That’s insane, another thought that popped in there so as to … Can you just literally touch on why we looked at cholesterol being the enemy in the first place, because some listeners might not be aware of the fact, of the history of what’s going on. [00:14:00] country consumes with the risk of heart disease. He plotted this perfect linear correlation using just 6 countries, 6 data points, but he had 22 countries, the data for 22 countries available. When you plot all of the data, you can see there is no correlation at all. That kind of eventually led on to the idea that cholesterol is causing heart disease. [00:15:00] animal studies along with some researchers who probably genuinely believed in what they were doing, but they skewed the data to suit what they personally believed. Now when we look back at that, we can see that it was, it’s not … I mean forget a solid scientific basis, it is no scientific basis at all for how it began. Then there was also this cholesterol consensus conference in the United States. A panel of experts along with of course a number of other people attending the conference, they published these so called consensus reports on cholesterol, but many doctors who were there objected to it. Many cardiologists pointed out, well we are not … Let’s not rush ahead with lowering everyone’s cholesterol levels, because even back then they knew that low cholesterol strongly correlates with increased deaths for more causes. because they had all kinds of things already in place like press conferences, and the report that was going to be issued to the press and everything. Yeah there was a number of things that have happened over the history of it. Guy: That’s incredible, isn’t it? Now you have an interesting situation, because there is more and more evidence coming out that obviously saturated fat isn’t the problem, cholesterol isn’t the problem, but yeah Statin is a highly prescribed drug. I have no doubt they are making a ton of a lot of money in the industry. Guy: Yeah and now it’s coming to logger heads. [00:17:00] much money, they are some of the richest organizations in the world. When there is a study that seems to be favorable towards the idea of lowering cholesterol, or of course to the Statin medication. They have a whole media machine linked with them, so they can very effectively get that onto the front page of the newspapers, of course online is a really important media for them these days. Everybody gets to hear about those studies, but there are hundreds and hundreds of studies that show we shouldn’t be lowering cholesterol levels for everyone, and that Statins are causing lots of side effects. They often don’t get the same attention in the medical journals, and throughout the whole of the media. [00:18:00] podcasts are being recorded, and people can start to make up their own minds, which is so important for these things, yeah. Justin: Yes, there was an interesting case because in Australia the Catalyst program that was on ABC Australia, they had a 2 part series on saturated fat and cholesterol and Statin. What we saw then was just how efficient the media machine is connected with the pharmaceutical industry. Because within a few hours of those programs being broadcast, there were already counter arguments coming through the media to discredit the documentaries. Yeah, that was an example of … I mean even I was surprised just how efficient they were at discrediting the programs. Guy: Yeah, I think they ended up pulling them down, ABC Today, is that correct? You do that with everyone, when you do that with the people who say that everyone should be taking Statins, the evidence scrambles away. You are left with very little that you can actually include in the documentary to your program. I can completely understand how it came about, but unfortunately they were criticized for that. Some people have said that was used to [inaudible 00:19:55] to withdraw the programs. number of listeners who are taking Statin drugs and starting to perhaps second guess whether what they’re doing is right. What advice would you give to those people right now? They’re on the drugs, what do you say? [00:21:00] are middle aged men who‘ve already had a heart attack. There’s no data to support that women of any age can benefit from Statin medications. In the elderly there’s a problem, well there are many problems with Statins, but this correlation between low cholesterol levels and increased deaths, increased mortality, is particularly strong correlation in the elderly, and it’s the elderly of course who are mostly taking Statin medications. Really it’s criminal. [00:22:00] taken Statin medication. What the data shows is those people don’t benefit. There’s no extension in life expectancy by taking a Statin in that situation. [00:23:00] medication. Of course you have to then trade off a few days in life increase in life expectancy against the risk of the side effects, the advance effects. Guy: I can say I’m not that clued up with Statin [inaudible 00:23:06] personally. What kind of side effects are we talking about, because I do wonder what the pay off is in prevention versus taking a Statin drug and then having side effects? What many experts say is all medications have side effects, and you need to of course balance that against the benefits. First of all the benefits aren’t there for most people, because for me the crucial thing is, will the person live longer as a result of taking the medication? What we see in the clinical trials is, when people take a Statin for preventative for trying to prevent a future heart problem, they very, very slightly reduce the risk of a heart attack, but at the same time increase the risk for other serious diseases. The net result is that people don’t live any longer. Dr. Malcolm Kendrick in Statin Nation, he sums it up as, you might change what’s written on the death certificate, but you won’t change the date. That’s the primary prevention setting, and that’s say about 75% of people who take the Statin medication at the moment. If I wanted to do my own information and really kind of delve in to the world of Statins, would I find any independently funded studies that prove that Statins are harmful? Well, all of them pretty much because what happens is the clinical trials that are funded by the pharmaceutical industry, they are very, very bad at publishing the harms. Of course they have very strong interests in showing the medication to be as effective as possible. They go to great lengths to exaggerate the benefits of the medication, and also go to great lengths to not publish data associated with the harms. To get an idea, one of the most respected research organizations in the world, the Cochrane Collaboration, they do these metro analysis. They take the data from lots of clinical trials about a medication. Sometimes they do it on nutritional supplements as well, but usually about medications. They take all of the clinical trial data, and do all the complex number crunching on it to come up with the final result of whether it’s beneficial or not. When they did the first one of these on Statin mediations, they said almost half of the clinical trials on Statins, they didn’t report on side effects at all. They just didn’t provide any data at all about the side effects, which gives you an idea of this void in our understanding of what the true harms are. If they don’t publish data associated with the side effects, it’s then more easy for them to keep saying that the rate of side effects is very low, because they just haven’t published the data associated with it. There are more independent studies that have been done, and we’re learning more and more all the time about the harms. It’s very logical in that, when you understand the parts of the body that require more cholesterol, and that correlates of course very strongly with the type of side effects that we see. We know that the nervous system cells require a lot of cholesterol, so then we see a lot of muscle aches and pains and general aches and pains as well associated with Statins. That’s probably the most common side effect. It’s sad to say that probably about 20% of people suffer significant side effects, and most of those will be the muscle aches and pains. It’s often described as a fairly kind of trivial thing, something that people can cope with and carry on taking the medication, but of course it’s not. I’ve been in contact with hundreds of people who’ve literally had their lives destroyed by taking Statin medications, and some of them can’t walk any more as a result of taking the medication. You put a medication in to the body; you can’t predict the effect that it will have, because each of us have a unique biochemistry. We’re all totally unique like, as unique as we are in our finger prints, we are in our biochemistry. You put the medication into the body and it’s roulette. You just don’t know what the effects will be. Statins are particularly dangerous because the side effects can happen over time. It might take a number of months, 6 months or even a year before the person starts to experience the side effects, and all too often then, they’re just put down to getting older or, it’s not due to the medication because you’ve been talking this for a while now. They don’t follow this very typical … Normally people take the medication if they react to it, start vomiting or get a skin rash, but Statins are different because the side effects very often build up slowly, gradually over time. Then a lot of people are lucky, when they stop taking Statin medication, the body recovers and doesn’t seem to have any lasting damage. Unfortunately, a large number of people do have lasting damage. Again I know hundreds of people who have been struggling now for a number of years, sometimes 10 or more years, trying to repair their body as a result of the Statin damage. Scary. I just keep thinking of if somebody was listening to this on Statins right now, with everything you’ve researched and learned, in your opinion, what causes heart disease in the first place? We presented this model of heart disease at the moment that’s based on risk factors. They have this simple calculator. They’ll put in your numbers for your cholesterol level, blood pressure, BMI, age, may be another couple of factors, and they’ll come out with a magic number that’s supposed to accurately predict your risk of suffering a heart attack in the next 5 years. They say that anyone who’s, from that magic calculator, anyone whose percentage for their risk comes out to be more than 10% chance of a heart attack in the next 5 years, should take a Statin. [00:31:00] to try this calculator, and it literally didn’t work. It just threw out some crazy numbers that weren’t logical at all. Then about an hour later I went back to the website and there was a message saying, we’re very sorry due to feedback, we need to make some changes to the calculator. They put all of the energy into the media and marketing the idea and someone forgot to actually check whether the thing worked or not. Stu: Perhaps it was just a random number generator. [00:32:00] major thing in heart disease, the environment that someone lives in, we know pollution can increase the risk of heart disease, and even when we have a solar storm, a burst of energy coming from the sun that heats the earth. When that happens we find an increase in heart attack and strokes. That’s geomagnetic storm. There are all kinds of things in our environment that can increase our risk as well. Lifestyle of course, things like exercise, and the strength of our immune system. There’s some research to suggest that heart disease could be caused, or a contributing factor could be infections from viruses and bacteria. more important for some people and less important for others. If one person has a heart attack, it could be primarily due to stress, for someone else it could be more associated with the environment in which they live, for another person poor nutrition. Suggesting that you can just put a few numbers into a simple calculator, and come out with this magic number, and if it’s above 10% then you must go on a Statin medication, that’s purely based on trying to get more people to take medications, and trying to continuously fuel this cholesterol lowering industry which is difficult to put a number on it now, but for a number of years the estimated value of the cholesterol lowering industry was something like $29 billion per year. recently is Statins are cheaper now, so this argument that it’s just used for making money for drugs companies they say is false. That’s not true, because if you look at many of the large pharmaceutical companies, even though some Statins have become less expensive, they have other cholesterol medications in that pipeline. They have huge interests in keeping this false idea alive for the sake of their future medications that they have coming through the pipeline at the moment. Guy: Just to recap that for listeners, you touched on environment, stress, and nutrition as could be influences to heart disease. That made me think about nutrition and the low fat diet. Is there evidence that that now contributes to heart disease, or is this an unknown? Justin: A low fat diet causing heart disease? [00:36:00] risk for heart disease. We know of course that people who have diabetes are at a greatly increased risk for heart disease. People with diabetes have something like 2 to 5 times the risk of having heart disease than someone who doesn’t have diabetes. What we know is those risks extend below the diabetic threshold. People who have high blood glucose levels, but they don’t have a diagnosis of type 2 diabetes, then they still have an increased risk for heart disease. The risk is much lower than if they have a diagnosis of type 2 diabetes, but it’s still there. [00:37:00] disease, and also maps showing which countries consume more fat. In general, the countries that consume more fat, more dietric fat, have a lower rate of heart disease. The same thing is seen with vegetable consumption as well. The countries that consume more vegetables have a lower rate of heart disease as well. In my mind that signals to me that rather than looking at … Because there is this huge debate about whether a vegetarian diet is more healthy, or a paleo diet is better than [inaudible 00:37:31]. In my mind having looked at so much data associated with this, what’s critical is good nutrition. Good nutrition. Rather than one particular style of diet, but having good quality nutrition, that is not based on just simple carbohydrates that have low levels of nutrients. Stu: yeah exactly, because I was going to ask you about the French paradox, because France again is touted as this mysterious little country that seems to fare quite well in the health scales, and they drink lots of wine and they eat cheese and lots and lots of buttery and oily foods, they’re on the right path do you think? [00:39:00] high in France. It seemed to be an anomaly, a paradox, because the idea was presented that in every other country the model works, but in France it doesn’t work, so something weird is happening in France. They said, oh yeah, because everyone drinks lots of red wine. There’s something protective about red wine, but then it emerged that that’s not just a French paradox. There’s an Icelandic paradox, a Swiss paradox, a Portuguese paradox, a Japan paradox. There’s more paradoxes than models that fit. Is that right? In Japan for example, they’ve been steadily increasing the amount of saturated fat that they consume, and at the same time the rate of heart disease has been getting lower and lower. There are many, many examples like this that don’t fit with the idea that we’re all expected to believe. in the medical establishment as well? Justin: Not in the medical establishment, but some people in the medical establishment yes. Those are [inaudible 00:40:09] people who are doing more of their independent research, but also the brave medical professions, bad professionals because the medical professional is very hierarchical in nature. It’s actually very difficult for a doctor to stand up against his or her colleagues, because usually it’s his or her colleagues who will be the first to throw stones at them, because they fill almost threatened or challenged, their own beliefs are threatened. online you finding more and more huge amount of information now about the cholesterol myths, and the harms that Statins are causing them. More and more people are becoming wise to it if you like. If we wait for people who set our policy, and if we wait for politicians and if we wait for the medical system to change, it won’t happen. Just looking at the way the whole system works, that’s really not going to happen. It’s only going to happen by more and more people doing their own, becoming educated for themselves about it, and then making their own decision about what they think is right. Guy: Fantastic. I was just thinking, and the pharmaceutical companies have you ever heard of them at all from producing these movies or come under criticism? have NICE which sets guidelines for doctors, and the MHRA who decides whether the medication is safe to use. We also contacted all of these organizations as well. So far they’ve all said no. Sometimes there’s a brief exchange of emails, with the British heart foundation which seems to be more, they just want to get some information from me about the potential impact of the documentary. [00:43:00] that of course I have to mention all these people were contacted, but they declined to be interviewed. I can’t see how that can be positive for them, because they are given an opportunity to put their side of the argument. Even if they just had a PR person to come on camera and say, “We strongly believe that cholesterol is a risk factor and Statins are the best thing in the world, but not to even provide that. Other people decide for themselves what it indicates. Stu: No, I get it. It certainly it doesn’t board well for them, that’s for sure. I wondered … We’ve got a couple of questions just personal questions, and I guess first off it is great to hear that you are not on witness protection. Everything is okay. Given everything that you have uncovered during the journey of your movies, how do you eat? which makes things more challenging. My reaction to that is to try and simply things as much as possible. For breakfast I normally try to just simply get eggs, ideally an omelet. Then for the other meals, really simply try to aim for something that looks like meat and vegetables, or fish and vegetables or poultry and vegetables like that. Justin: Yeah, it’s difficult to … Those people who follow gluten-free diet, or completely avoid simple carbohydrates, I really respect those people, but I just find it truly difficult to do it when you are travelling a lot. Guy: Travelling is a different game all together, isn’t it? What about exercise [00:45:00] because I will say there’s a relationship between exercise and heart disease. We’re just curious to know if you exercise, what would your exercise routine look like, what have you learned as well in terms of relationship with heart disease, if there are any exercises that are better than others? I think we lost him, have we? Guy: Sorry Justine, you are breaking up a little bit. Stu: We just got … Oh, just popped out. We lost that question again, I think. Guy: Yeah. Here he comes. Guy: Hey Justin. Justin: Hey, I’m back. Guy: That’s all right. [00:47:00] better with a simple kind of circuit routine in the gym using weights, so just varying up and lower body exercises to get the heart rates up at the same time as I’m doing some resistance exercises. Guy: Perfect, yeah excellent, simplified. I think people like to hear the fact that they don’t have to be pounding the streets everyday for hours on end to get their exercise routine. Justin: Yeah, exactly. Also look at those people that [inaudible 00:47:23] treadmill, and it seems … Because I used to be one of those people running for an awful long time on the treadmill. I’m not convinced that that’s the best way to exercise anymore. Stu: That’s very good advice and we’ve heard that from many sources as well. It seems to be that the most common phrase that these guys tell us is that if you are doing that and primarily looking to lose weight, then perhaps you should look … Your diet and that isn’t quite right because it’s generally an overabundance of carbohydrates. Guy: Statin Nation came out and fantastic movie. Tell us a little bit about Statin Nation 2. Justin: Statin Nation 2 continues with the same thread of critique of the idea that we all need to lower cholesterol level. Looking at the simple evidence for these Statin medication, but then moves on to look at some of the real courses of heart disease. Basically presents the kind of model that we were discussing earlier. Rather than looking at a simple list of so called risk factors, we should be looking at it as a more complex condition that could involve a number of things like the environment, lifestyle, nutrition, stress levels, and the immune system as well. Guy: That’s available on your website as well to view, to download? Justin: Yes, both films are available on statinnation.net. Guy: Okay, we’ll share the links anyway when this podcast goes live. That’s fantastic. Just before we started recording as well, we were chatting. You are currently traveling the world, you are in Bali at this moment if Nate doesn’t realize, interviewing more people with another movie coming up which fascinates me as well. Would you mind just touching a little bit on that what you are up to at the moment? [00:51:00] significant risk factor and Statins also causing more harm than good. 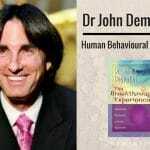 It turns out that he’s also for many decades been working in this field of energy medicine. In fact, he also this huge text book, Bioelectromagnetic and Subtle Energy Medicine. It’s quite a weighty book. [00:52:00] decades, there’s been a number of researchers who have discovered really fascinating things about the electrical nature of our bodies. These have all been really high profile researchers. There was a Swedish researcher who was, he was actually for a while, he was the chairman of the Nobel Prize for physiology and medicine, and also radiologist. He started doing his own independent research in to these biological electric circuits within the human body. It’s a way that it seems the eastern philosophy, so the eastern approach to medicine like traditional Chinese medicine for more than 2000 years have described the chi energy flowing through the body. body could be the same thing goes this chi energy that’s described in the east for more than 2000 years. Stu: Wow, and when can we expect the release of that movie? Justin: I’m working on towards the end of the summer or autumn this year. Guy: It’s called Charged. Justin: It’s called Charged. I’m still waiting to finance for that as well. If anybody wants to be involved like pretty [inaudible 00:53:32] download, the website is simply chargedmovie.com. Guy: Correct. We will share that as well. That sounds super fascinating, very interesting topic. Stu: It is very interesting subject. Guy: Yeah, absolutely. I look forward to that. We have one question, I’m just aware of the time; we have one question that we ask everyone on the show. That is what’s the best piece of advice you’ve ever been given? concept of, if you are trying to achieve something, we often think of things as a great number of external forces that we should try and control. A friend, a number of years ago explained that it’s really an internal journey. When we change our own mindsets, then we find that all of these, what we thought were external forces, they often fall into place and start helping us rather than being seen as obstructions. I think that was probably the most profound thing that I’ve been made aware of. Guy: Perfect. Changed life not changing life, that’s … I love it, fantastic. Everyone listening to this, can you just repeat the best URL for people to go to check out everything that you are doing with Statin Nation? Justin: it’s statinnation.net for the Statin Nation movies, or chargedmovie.com for the new project about energy medicine. Guy: Awesome. Awesome. Justin thank you so much for coming on and sharing all your knowledge with us, that was fantastic. Justin: Thank you too. It was great. Thank you. Thankyou for your podcasts. I appreciate getting information on continuing to improve my health and well being. Regards, Kerry.